Many people who are considering orthodontic treatment for themselves or for their children have numerous questions and concerns. At Murphy Orthodontics, we believe that thorough patient education on orthodontic issues and what they can expect from treatment is vital to ensuring effective treatment and a beautiful new smile. Our orthodontist, Dr. Chris Murphy, is a Board Certified Orthodontic Specialist who can help you attain your goals with state-of-the-art orthodontic treatment. Please take a look at the following information to gain a better understanding about orthodontics, and contact our practice to schedule a consultation. Teeth Spacing – missing teeth or excessive gaps between teeth. Teeth Crowding – when teeth do not have enough room once they come in through the gum, crowding among the rest of the teeth can occur. This can be fixed by expanding space before permanent teeth erupt, and therefore tooth extraction may not be necessary. Overjet – similar to an underbite, except occurring in the upper teeth rather than the lower teeth. The upper front teeth advance out over the lower front teeth and settle in front of the lower teeth. Crossbite – upper teeth that have settled inside the lower teeth. This can ultimately cause irregular jaw growth and damage to the teeth. Overbite – the upper and lower front overlap too much in the vertical dimension so that the upper front teeth close down too far over the lower front teeth. This is often referred to as a Deep Bite, often affecting the ability to chew food properly and causing excessive wearing down of the lower front teeth. Teeth Protrusion – teeth that extend too far forward or not far enough, causing an imbalanced appearance in the mouth. My favorite part of my treatment was the friendly personal treatment every time I came in. Everyone addressed me by my name and was sincere towards how I was doing. I am very, very thankful to everyone at Murphy Orthodontics. You guys are great! I would recommend you to anyone! The following are some frequently asked questions regarding orthodontic treatment at Murphy Orthodontics. If you have more questions, please feel free to contact us. How early should my child be evaluated for orthodontic issues? Your child should be evaluated for orthodontic problems no later than age 7, or as soon as orthodontic problems occur. Are there orthodontic options geared toward adults? Yes! Many treatments available are specifically designed for adults to straighten their teeth and/or correct bite issues. These options include treatments that involve little to no visible metal in your mouth, as well as procedures that can work faster and more comfortably than traditional braces. 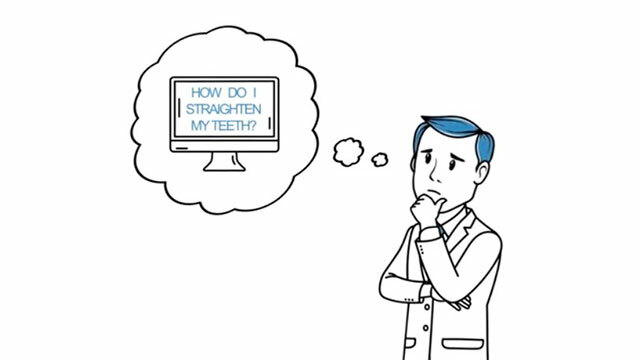 Are there less visible ways to straighten your teeth, compared with metal braces treatment? Clear braces, lingual braces, and Invisalign® clear teeth aligners are all discreet methods of straightening your teeth while reducing the chance that other might notice. How uncomfortable will orthodontic treatment be? With many innovations in braces and other orthodontic treatments, your teeth can be straightened much more comfortably. Braces techniques are available that do not require the pressures associated with elastic or steel ties. Plus, Invisalign® uses clear aligners with no metal parts whatsoever. What are some early signs of orthodontic problems in children? Baby teeth that do not fall out when they should and those that are lost due to decay may be signs of orthodontic problems. Also, biting and chewing problems, crowded teeth, excessive thumb and finger sucking, disproportionate jaws and teeth, and the inability of the top and bottom teeth to meet properly are common signals of orthodontic issues. Why would my child need an orthodontic appliance? Orthodontic appliances such as Palatal Expanders can help make enough room for permanent teeth to erupt and reduce bite problems. These methods can significantly improve the chances your child will not develop serious orthodontic problems down the road, and help future orthodontic treatment work more effectively. The exact cost of orthodontic treatment depends on each patient and the procedures that are performed. Once Dr. Murphy has evaluated you, he can help you determine the best option for your needs. Our office offers a number of financing options that can help bring the cost of treatment into your budget. We will also go over any possible coverage your insurance company may offer in order to help you maximize your benefit. What is the ultimate benefit of orthodontic treatment? Orthodontic treatment helps to straighten misaligned teeth, close gaps, and bring your teeth into a more aesthetically pleasing position. It can also help with chewing and speaking difficulties, as well as correct common problems such as over- and under-bites. Orthodontic techniques can prevent facial disfigurement and damage to the teeth and gums. Effective orthodontic treatment can also address jaw joint pain, as well as prevent tooth decay and tooth loss resulting from crooked teeth that are difficult to clean. Good oral hygiene is imperative to maintaining dental health, and it’s no less important while you are undergoing orthodontic treatment. Particularly with braces techniques that use wires and bands, daily tooth cleaning is essential to reducing trapped food particles and plaque. Brushing and flossing after each meal is often the best way to stop the buildup of plaque and reduce the risk of developing gum disease and tooth decay. Dr. Chris Murphy will give you detailed instructions on the best methods of brushing and flossing while you are wearing braces. You may also benefit from specialized cleaning tools like an interdental toothbrush and/or Waterpik, which can effectively clean around braces and under wires. Contact Dr. Murphy with any questions you may have about common problems, oral hygiene during orthodontic treatment, or the procedures we offer.